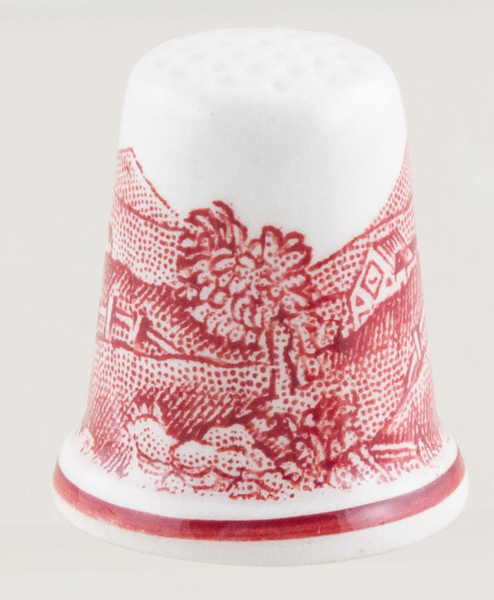 Delightful thimble decorated with a rural scene. Backstamp: Adams Made in England. Excellent condition.